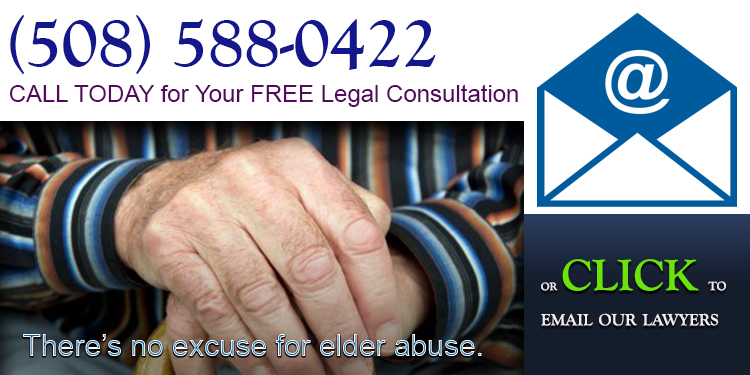 Did someone you love suffer elder abuse or neglect at Carlyle House? 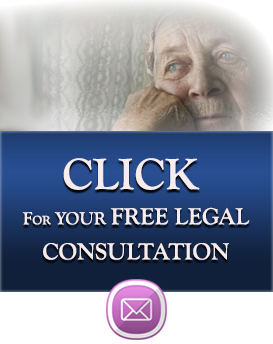 Our lawyers can help. 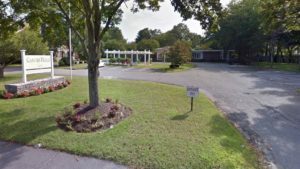 Carlyle House is a for profit, 55-bed Medicare/Medicaid certified skilled nursing facility that provides services to the residents of Maynard, Acton, Sudbury, Concord, Hudson, Wayland, Marlborough, Westford, Weston, Bedford, and the other towns in and surrounding Middlesex County, Massachusetts. **NOTE- TERMS IN BRACKETS HAVE BEEN EDITED TO PROTECT CONFIDENTIALITY** Based on record review and interview, the facility staff failed to complete a Significant Change in Status (SCSA) Minimum Data Set (MDS) Assessment when indicated for 1 resident (#10), in a total sample of 14 residents. For Resident #10, the facility staff failed to complete a SCSA MDS when the resident enrolled in Hospice services for end of life care. Review of the Centers for Medicare and Medicaid Services Long-Term Care Facility Resident Assessment Instrument User’s Manuel, revision date 10/2015, indicated the following; A SCSA MDS is required to be completed when a terminally ill resident enrolls in a Hospice program, or changes Hospice providers and remains a resident at the nursing home. Resident #10 was admitted to the facility in 12/2016 with [DIAGNOSES REDACTED]. Review of the clinical record indicated an Admission MDS Assessment was completed 12/24/16. Review of the 3/2017 physician’s orders [REDACTED]. Review of the clinical record indicated a Quarterly MDS Assessment was completed 3/10/17. During an interview on 3/29/17 at 2:00 P.M., the MDS Coordinator said (after reviewing the current MDS instructions) there was no SCSA MDS done when the resident enrolled in Hospice, but said there should have been per the MDS instruction manual. Review of the facility Fall Prevention Policy, release date 9/1/04, indicated the following; Preventative Care Planning for the resident at risk for falls should involve all relevant disciplines, the resident and family if possible. All team members should be aware of the risks and benefits of interventions chosen, and that interventions may need to be changed or adjusted according to resident response and/or change of status. For Resident #2, the facility staff failed to implement the use of a bed alarm and ensure equipment was properly placed for 2 of 6 falls sustained by the resident. -Maintain falls record and evaluate for pattern. Review of an Unusual Event Report, dated 11/23/16, indicated the resident had an unwitnessed fall in the bedroom at 1:30 A.M. The report indicated the resident was found sitting on the floor beside the bed. The bed alarm was not in use as care planned. The new interventions implemented were a medical evaluation, hip protector underwear, 15 minute safety checks, and a rehabilitation screen. Review of an Unusual Event Report, dated 2/4/17, indicated the resident had an unwitnessed fall in the hallway at 3:20 P.M. The report indicated the resident slid out of the Geri-chair recliner underneath the lap tray and was found on the floor in front of the recliner. The new interventions implemented were a rehabilitation screen, safety equipment check, and a chair alarm. Additionally, the staff were re-educated on 2/6/17 on falls and how to correctly secure the resident’s equipment and use safely. During an interview on 3/28/17 at 3:30 P.M., the Nursing Supervisor said the bed alarm did not sound for the fall 11/23/16 but was care planned to be on while the resident was in bed. She said for the fall of 2/4/17, the recliner’s lap tray was not in place properly which allowed the resident to slide out of the chair underneath the tray. During an interview on 3/29/17 at 7:15 A.M., the Director on Nursing said the falls of 11/23/16 and 2/4/17 were due to problems with utilizing the safety equipment as care planned. **NOTE- TERMS IN BRACKETS HAVE BEEN EDITED TO PROTECT CONFIDENTIALITY** Based on interview and record review the facility staff failed to provide appropriate care and services related to medication management for 1 resident (#9) receiving [MEDICAL TREATMENT] treatments, in a total sample of 14 residents. For Resident #9, the facility staff failed to arrange for the administration or omission of medication with the Physician while the resident was out of the facility for [MEDICAL TREATMENT] treatments. Resident #9 was admitted to the facility in 3/2017 with [DIAGNOSES REDACTED]. Review of the clinical record indicated the resident left the facility for [MEDICAL TREATMENT] on Tuesdays, Thursdays and Saturdays at approximately 10:30 A.M., and returned between 4:00 and 4:30 P.M.
Review of the Admission Minimum Data Set (MDS) Assessment, dated 3/14/17, indicated the resident was cognitively intact as evidenced by a Brief Interview of Mental Status (BIMS) score of 15 of 15, had a [DIAGNOSES REDACTED]. Review of the 3/2017 physician’s orders [REDACTED]. -[MEDICAL TREATMENT] 3 times (X) a week, Tuesday, Thursday and Saturday. -[MEDICATION NAME] 400 mg. daily, at 2:00 P.M. from 3/23/17 to 3/31/17. Further review did not indicate orders for how or if the resident’s medications, scheduled for 2:00 P.M., were going to be administered when the resident was out of the facility for [MEDICAL TREATMENT]. During an interview with Unit Manager (UM) #1 on 3/29/17 at 1:30 P.M., she said the 2:00 P.M. [MEDICATION NAME] was not administered on the days the resident was at [MEDICAL TREATMENT]. There was no order to omit or reschedule it. She said she would call the Physician to clarify. **NOTE- TERMS IN BRACKETS HAVE BEEN EDITED TO PROTECT CONFIDENTIALITY** Based on observation, interview and record review, the facility staff failed to ensure the resident received adequate supervision and assistive devices to prevent accidents for 1 resident (#2), of 7 applicable residents with falls, in a total sample of 14 residents. -Purpose: to maintain and promote each resident’s independence and level of function while minimizing the risk for fall-associated injury. -Preventative Care Planning for the resident at risk for falls should involve all relevant disciplines, the resident and family if possible. All team members should be aware of the risks and benefits of interventions chosen, and that interventions may need to be changed or adjusted according to resident response and/or change of status. For Resident #2, the facility staff failed to correctly implement interventions for 2 of 6 falls sustained by the resident. Review of the Admission Minimum Data Set (MDS) Assessment, dated 3/22/16, indicated the resident had severe cognitive impairment as evidenced by a score of 1 of 15 on the Brief Interview for Mental Status (BIMS), required extensive assistance for bed mobility, transfers, ambulation, dressing, hygiene and bathing, and had one fall without injury. Review of the Fall Risk Assessment, dated 10/20/16, indicated the resident was a high fall risk as evidenced by a score of 17. A score of 10 or greater indicates a high fall risk per the facility Fall Policy. Review of an Unusual Event Report, dated 10/20/16, indicated the resident had an unwitnessed fall in the bedroom at 2:30 A.M. The resident was uninjured. The new interventions implemented were a review by Psychiatry and Social Services to assess behavioral issues, 1:1 supervision as indicated, 15 minute checks and encourage rest periods. Review of the Fall Risk Assessment, dated 11/18/16, indicated the resident was a high fall risk as evidenced by a score of 15. Review of an Unusual Event Report, dated 11/18/16, indicated the resident had an unwitnessed fall in the bedroom at 12:00 A.M. The resident sustained [REDACTED]. The resident was sent to the hospital for a medical evaluation and later returned to the facility. The new interventions implemented were a Rehabilitation Screen, and toilet resident on 12:00 A.M. rounds. Additionally, on 11/22/16, a bed alarm was added to the fall care plan. Review of the Fall Risk Assessment, dated 11/23/16, indicated the resident was a high fall risk as evidenced by a score of 15. Review of an Unusual Event Report, dated 11/23/16, indicated the resident had an unwitnessed fall in the bedroom at 1:30 A.M. The report indicated the resident was found sitting on the floor beside the bed. The bed alarm was not in use as care planned. Initially the resident denied injury but later complained of right arm pain. The resident was medically evaluated and it was determined that he/she had no new arm fracture. The new interventions added were hip protector underwear, 15 minute safety checks, and a rehabilitation screen. Review of the Fall Risk Assessment, dated 11/24/16, indicated the resident was a high fall risk as evidenced by a score of 17. Review of an Unusual Event Report, dated 11/24/16, indicated the resident had an unwitnessed fall in the hallway at 9:30 P.M. The new interventions implemented were to move resident’s room closer to the nurses station, 15 minute safety checks (discontinued on 11/29/16), and lab work. On 11/25/16, the Physician ordered a Geri-chair recliner with lap tray for comfort and rest. Review of the Significant Change in Status MDS Assessment, dated 12/21/16, indicated the resident had severe cognitive impairment as evidenced by a score of 6 out of 15 on the BIMS, required extensive assistance for bed mobility, transfers, ambulation, dressing and hygiene, and had one fall without injury. Review of the Fall Risk Assessment, dated 2/4/16, indicated the resident was a high fall risk as evidenced by a score of 13.
Review of an Unusual Event Report, dated 2/4/17, indicated the resident had an unwitnessed fall in the hallway at 3:20 P.M. The report indicated the resident slid out of the Geri-chair recliner underneath the lap tray and was found on the floor in front of the recliner. The resident was uninjured. The new interventions implemented were a rehabilitation screen, safety equipment check, and a chair alarm. Additionally, staff were re-educated on 2/6/17 on falls and the correct way to secure equipment and use safely. On 3/23/17 at 12:05 P.M., the resident was observed dressed and wearing sneakers, sitting in a wheelchair with an alarmed seat belt across his/her lap. On 3/24/17 at 6:45 A.M., the resident was observed reclined in a Geri-chair with his/her feet elevated and a lap tray across the chair near the area of the resident’s hips. During an interview on 3/28/17 at 3:30 P.M., the Nursing Supervisor said the 15 minute checks were done right after the falls and only maintained for a few days. She said the bed alarm did not sound for the fall on 11/23/16 but was care planned to be on while in bed. She said that for the fall of 2/4/17, the recliner’s lap tray was not in place properly, allowing the resident to slide out of the chair underneath the tray. She said staff were re-educated on 2/6/17 relative to falls and proper equipment placement. During an interview on 3/29/17 at 7:15 A.M., the Director of Nursing said the fall of 11/23/16 and 2/4/17 were due to problems with utilizing the safety equipment as care planned. Based on observation and interview, the facility failed to remove food and beverage items intended for resident use from a nursing unit kitchenette when they had expired. -an unopened half gallon container of fat free milk expired on 3/20/17. -an half gallon container of fat free milk, open and half empty, expired on 3/20/17. -a clear plastic bag labeled as sliced deli turkey with an expiration date of 3/18/17. -an opened half gallon container of orange juice with an expiration date of 3/21/17. -Four containers of thickened dairy drink, two of them expired 1/22/17, one expired 2/4/17, and one expired 3/17/17. -A loaf of wheat bread expired 3/5/17. -A container of thickened water expired 1/27/17. All present during this observation said the food within the unit kitchenette had expired and should be removed from the refrigerator. **NOTE- TERMS IN BRACKETS HAVE BEEN EDITED TO PROTECT CONFIDENTIALITY** Based on observation, interview and record review, the facility staff failed to maintain adequate infection control while administering wound care for 1 resident (#8), in a total sample of 14 residents. For Resident #8, the facility staff failed to practice appropriate hand hygiene during a dressing change. Resident #8 was admitted to the facility in 1/2017 with [DIAGNOSES REDACTED]. Review of an Admission Minimum Data Set (MDS) Assessment, dated 2/4/17, indicated the resident had severe cognitive impairment as evidenced by a Brief Interview of Mental Status (BIMS) score of 6 of 15, required extensive assistance for all activities of daily living except eating and was frequently incontinent of bladder. Review of the clinical record indicated the resident had a blister on the bottom of the right foot. -UM #1 cleansed her hands and removed an old dressing from the right heel and cleansed the area with saline ([MEDICATION NAME] cleansing solution). -UM #1 applied skin prep to the affected area. -UM #1 did not cleanse her hands, but changed her gloves. -UM #1 applied a [MEDICATION NAME] non-stick pad and loosely wrapped the area with gauze Kling. -UM #1 cleansed her hands at the conclusion of the treatment. Immediately after the dressing procedure UM #1 said she had forgotten to cleanse her hands after handling dirty dressing materials, but knew she should have, prior to changing her gloves. The ADON also said UM #1 did not cleanse her hands prior to applying clean gloves. **NOTE- TERMS IN BRACKETS HAVE BEEN EDITED TO PROTECT CONFIDENTIALITY** Based on record review and interview, the facility staff failed to ensure the accuracy of the clinical record relative to a Physician’s order for the use of [REDACTED]. -To ensure that physical restraints are used only as a last resort in the least restrictive manner when it is considered medically necessary through a systematic interdisciplinary process. -Medical Symptom: An indication or characteristic of a physical or psychological condition. Resident #2 was admitted to the facility in 3/2016 with [DIAGNOSES REDACTED]. Review of a Physician’s order, dated 11/26/16, indicated the following; Out of bed to Geri-chair recliner or wheelchair with lap tray every shift as needed for comfort/positioning, remove tray and reposition patient every 2 hours. Tray off for meals and activities. The order did not indicate a medical [DIAGNOSES REDACTED]. During an interview on 3/28/17 at 3:30 P.M., the Nursing Supervisor said the Physician’s order for the restraint did not include an appropriate medical [DIAGNOSES REDACTED].